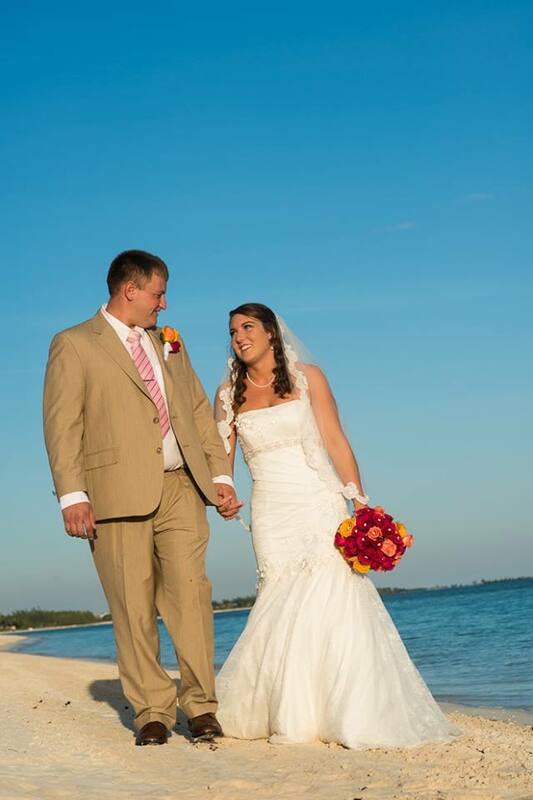 Bahamas weddings all inclusive are highly desirable for most couples. These weddings save time, stress and provide an experience that’s totally enjoyable. Ashley and Charles of Wheeling, Virginia, wanted exactly such an experience. High school sweethearts, the couple tied the knot at an intimate private, secluded Grand Bahamas beach ceremony followed by a dinner at the Terrace, Flying Fish Restaurant. 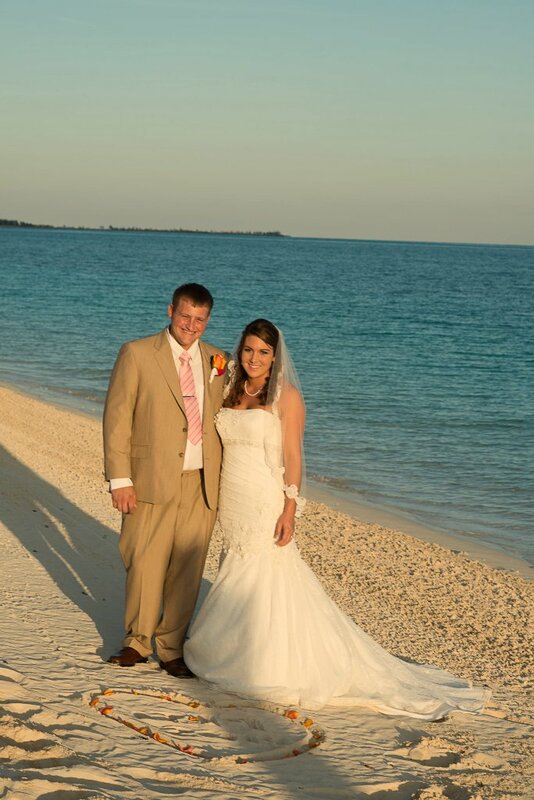 The bride and groom traveled to Grand Bahama with a group of 14 close family members. 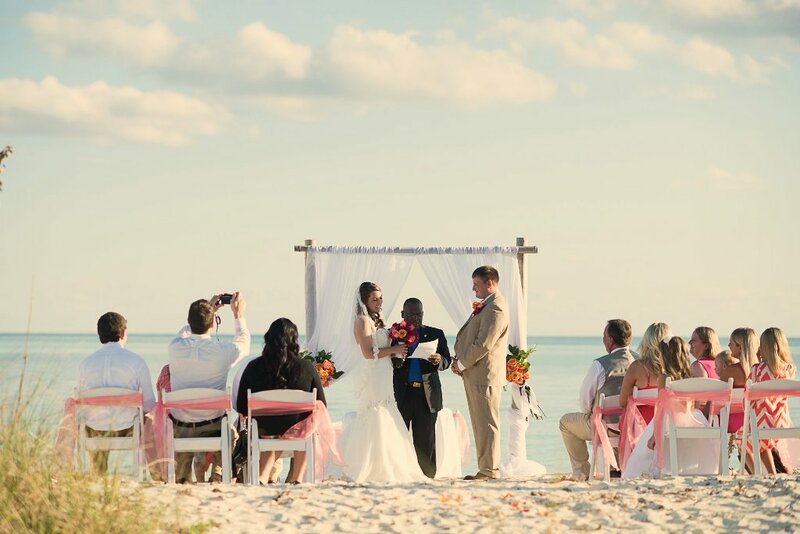 They chose beach front all-inclusive accommodations and the all-inclusive wedding experience with Chic Bahamas Weddings. Ashley and Charles’ group dined on a scrumptious gourmet meal at Flying Fish with a first course with choices of Crispy pork belly & seared scallop, cauliflower purée, crisp apple, orange curry chutney, Smoked wahoo BLT salad: heirloom tomato, truffle aioli, wahoo “bacon”, greens and Wakame salad, Alaskan king crab, avocado, mango, cucumber, sweet soy reduction, crispy rice. Second course choices were Signature Beef Short rib, 72 hour sous vide, purple potato gnocchi, edamame, bok choy, kale kimchee, Hudson Valley Duck: breast, tortellini of confit leg, carrot, fennel, apricot thyme demi glacé and Mahi Mahi, coconut crust, coconut-fever grass broth, cauliflower, soy beans, honshimeji, späetzle. Dessert selections were taken from Molten chocolate cake and the white chocolate dipped brownie, dark chocolate mousse, chocolate lace tuille, Almonds & Cherries: almond semifreddo, sablé & bark, balsamic caviar, cherry sorbet and Figs & thyme, vanilla bean mousse, fig-thyme crumble, burnt honey sherry reduction. Ashley sporting a fuschia, coral and orange rose bouquet. 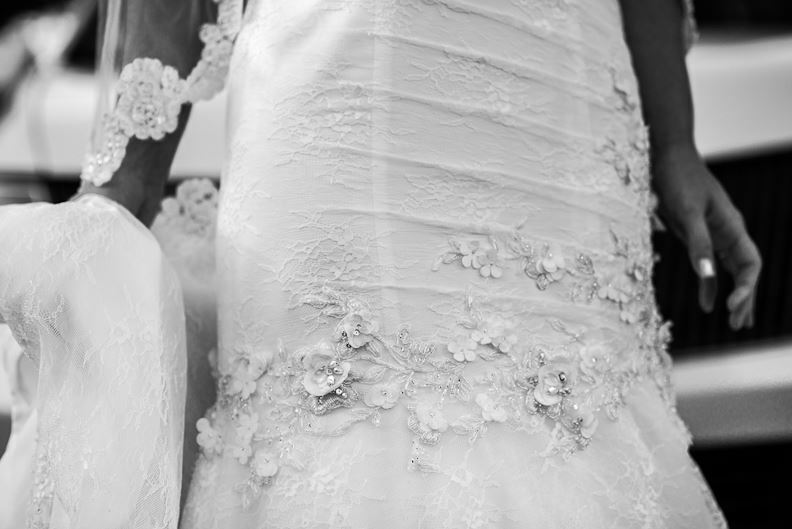 Ashley’s wedding dress with pretty details. Photos by Erik Mosvold Photography. WeddingWire, the nation’s leading online wedding marketplace, named Chic Bahamas Weddings as a winner of the prestigious WeddingWire Couples’ Choice Awards® 2015 for Bahamas Weddings Ceremony and Bahamas Weddings Venues in the Bahamas. 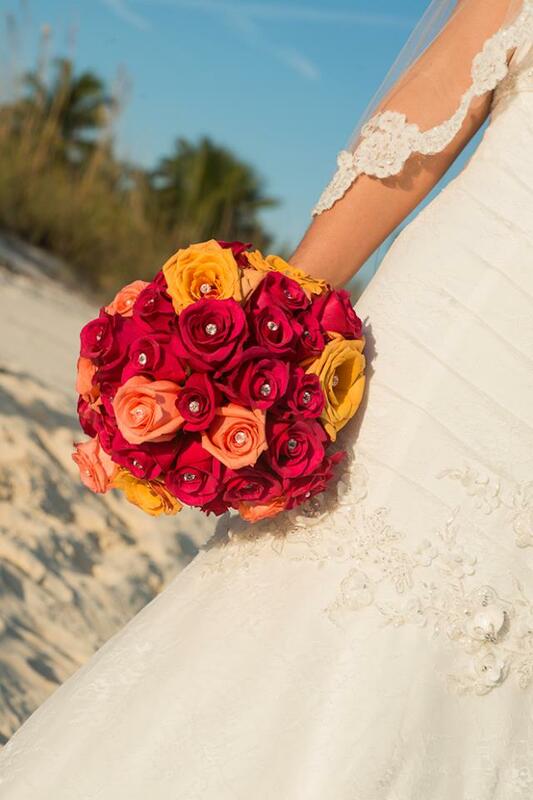 Chic Bahamas Weddings is also holds The Knot’s 2015 Best of Weddings award. Contact Chic Bahamas Weddings today to start planning your Bahamas All Inclusive Wedding.